Ford is set to unveil a new race-prepped Mustang at the Performance Racing Industry trade show next month, the Boss 302S. Slotting in between the Boss 302 Laguna Seca street car and the Boss 302R Grand-Am race car, the Boss 302S is designed specifically for “track days and road racing in a number of SCCA and NASA classes.” With the production of the FR500S Mustang and the Mustang Challenge race series coming to an end, Ford will provide cars to racing enthusiasts who want to compete with Mustangs in series like the World Challenge GTS class and NASA’s American Iron. 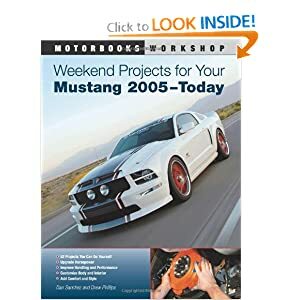 The car can be ordered through the Ford Racing catalog, part number M-FR500-B302S. The Mustang you see pictured above is actually a Boss 302S prototype developed by Tiger Racing of Covina, CA. The car will be raced by veteran driver Paul Brown in the SCCA World Challenge GTS class and will be very similar to the Boss 302S unveiled at PRI, although there are various visual and technical differences. The Boss 302S will come with the same 5.0L V8 from the Boss 302R with the factory 6-speed transmission and stock clutch and flywheel. Other race items will include a 6-point roll cage, adjustable suspension system, quick-release steering wheel, Recaro race seats and more. The exterior of the car will feature a unique fiberglass hood with heat extractors, front splitter, and rear adjustable carbon fiber wing. Just fifty examples will be built with a price tag of $79,000. Production will begin in the second quarter of 2011.